A south African woman has been left in shock as she found her late mum`s grave dug days after seeing her in dreams calling her to the graveside. 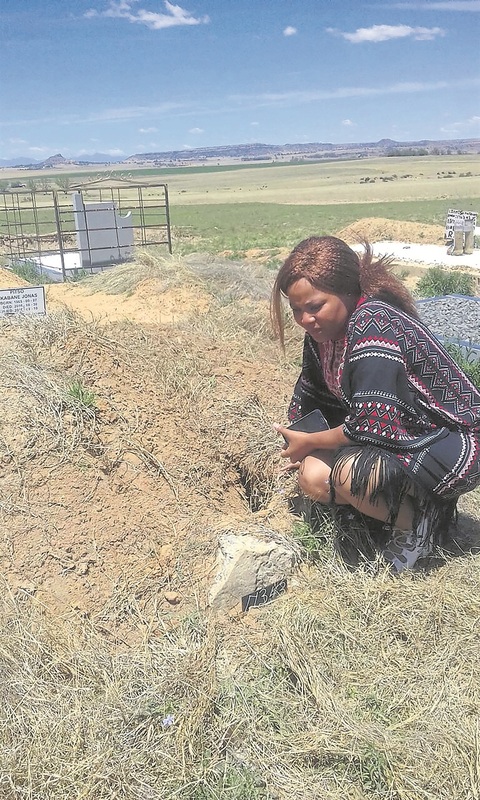 The 33-year-old Winnie Morabe claimed that her mother who died last year, called her to the grave site in dreams but she ignored until she received a call from a relative telling her that her mum`s grave had been tampered with. She told Daily Sun that her dreams were foreseeing what she saw when she reached at her mum`s grave site. “In the dream, my mum is waving as if she wants me to come with her. “But elders warned me not to follow her as it meant she wanted me to die and reunite with her,” Winnie told Daily Sun. Winnie eventually went to the grave. “Now I understand what my mum was trying to show me in the dream. “I’m afraid someone may have dug up her remains and stolen her bones. Winnie said she reported her fears to the police and they told her they would come to see the grave before opening a case, but nothing happened. On 6 June, a witchdoctor was found with a human head he allegedly dug up at the same cemetery. There have been increased cases in South Africa involving the stealing of people`s remains from graveyards which in most cases are demanded by witchdoctors.